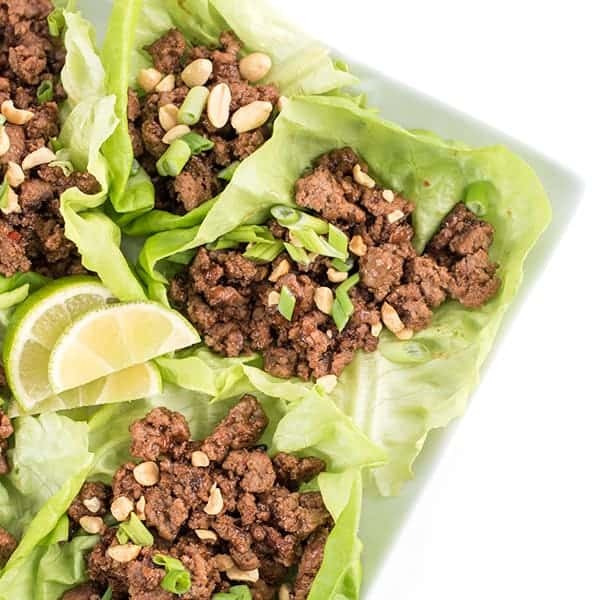 These high protein, low carb Asian Szechuan lettuce wraps are filled with fragrant beef cooked in ginger, garlic and sesame oil. Since so many of you love my Szechuan Green Beans and Ground Turkey recipe, I thought I would offer another tasty Asian dish with similar flavors. 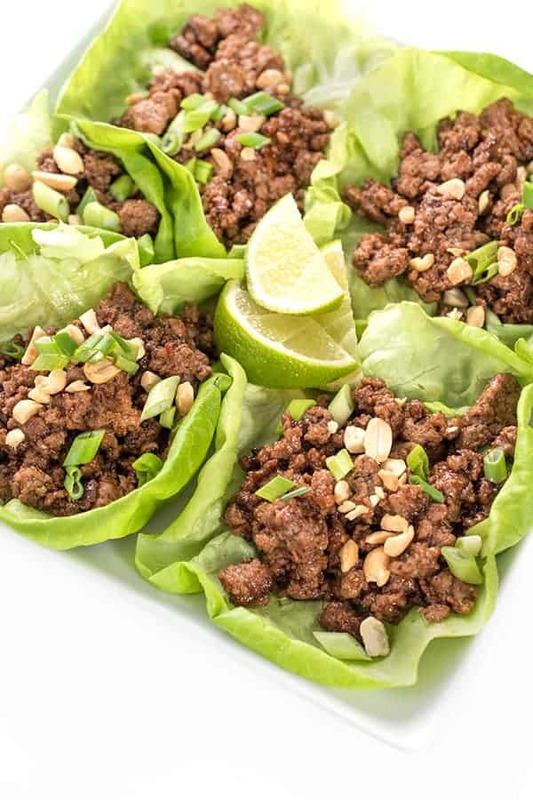 These Szechuan Beef Lettuce Wraps are not only easy to make but they’re naturally low carb, high-protein and super fun to eat! Similar to ground turkey, sirloin is a blank canvas and since it’s pretty lean, you really need to load up on the flavor to make this dish stand out. Fresh ginger, garlic, hoisin and sesame oil are all great ways to turn boring ground beef into something special. 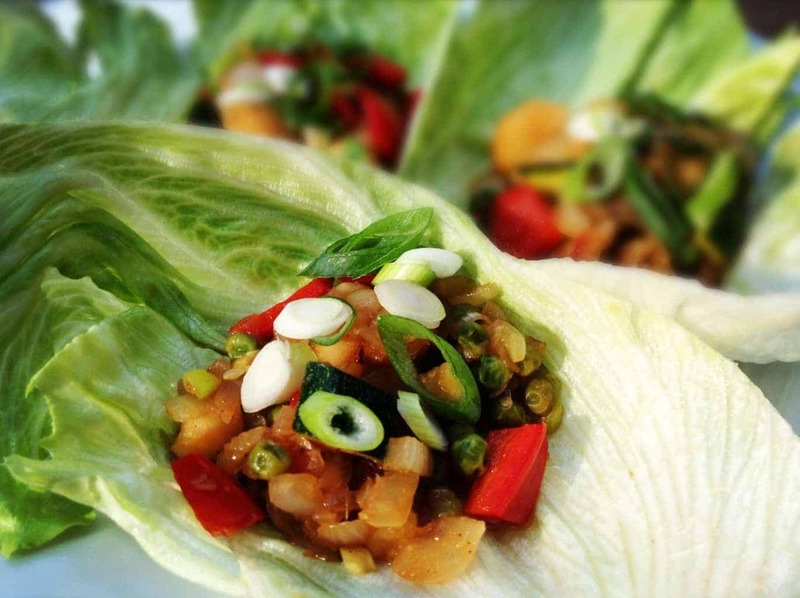 While it would be just as good served over brown rice, we love eating the in Boston bibb lettuce cups. My kids call them tacos, I call them delicious. If you want to dial up the heat, simply add more chili paste. You can also omit it entirely to keep the dish mild. Heat 1 teaspoon of the sesame oil over medium-high heat in a deep skillet. Add ginger, garlic and chili paste. Heat until fragrant, about 30 seconds, then add in the beef. Using a wooden spoon, begin breaking the beef up into bite-sized pieces. Saute until beef is browned, about 7-9 minutes. 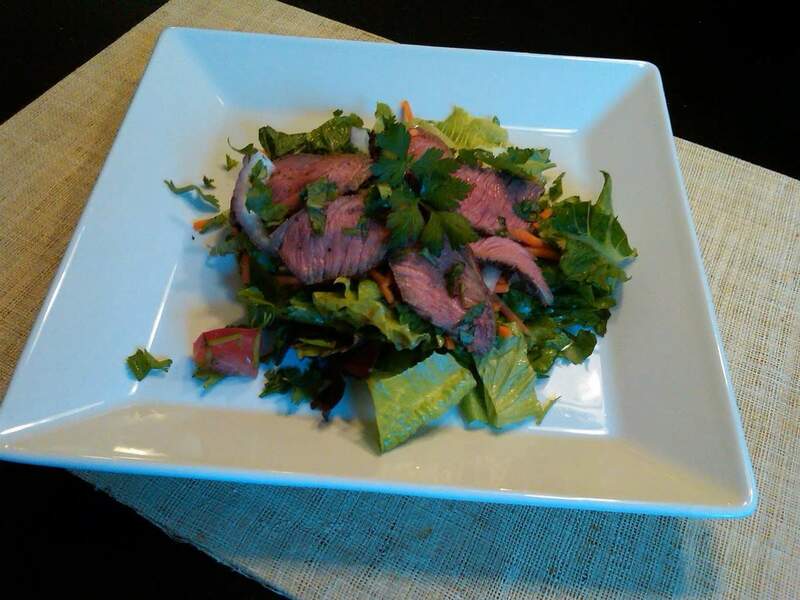 While the beef is browning, whisk together the soy sauce, rice vinegar, hoisin and chicken broth in a small bowl. Pour mixture over the browned beef and cook until warmed through, about 2 additional minutes. Drizzle with the second teaspoon of sesame oil before serving. 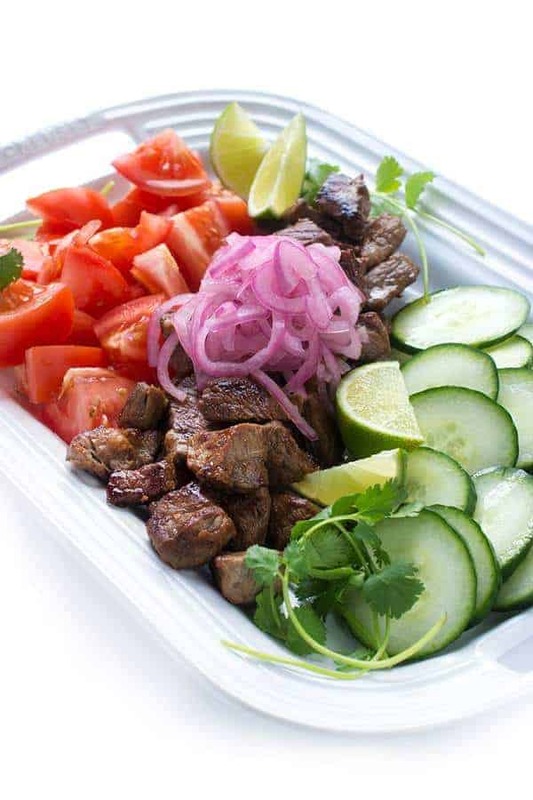 To serve, scoop a small amount of the beef mixture into individual lettuce cups. Sprinkle with scallions or minced peanuts to serve. Check out my Pinterest board for more Asian-inspired recipes! I love making lettuce cups! They are filling, but keep you feeling light! I love how healthy these look! 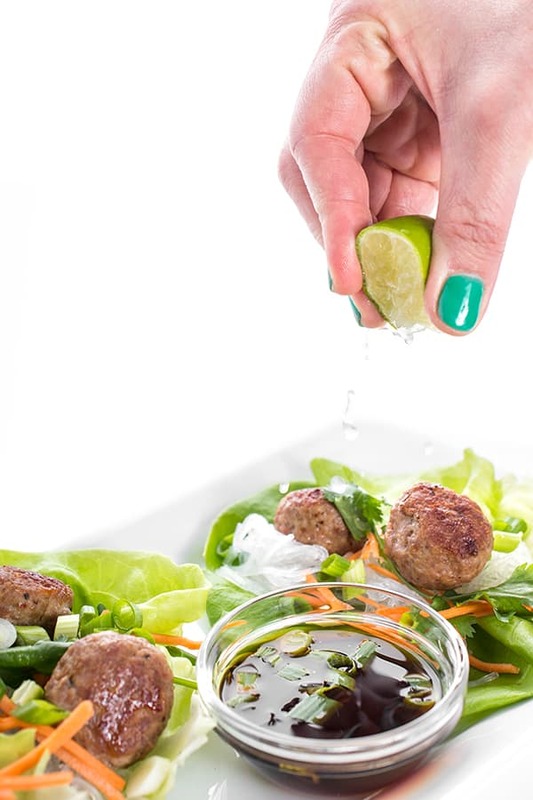 Thanks for sharing this flavorful lettuce wraps recipe! 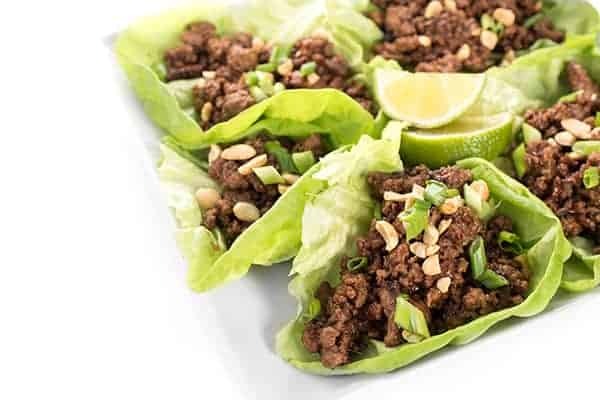 I love lettuce wraps and am trying to cut back on my carbs intake so this awesome idea is just what I have been looking for! Oh I’m so glad!! I hope you love them! 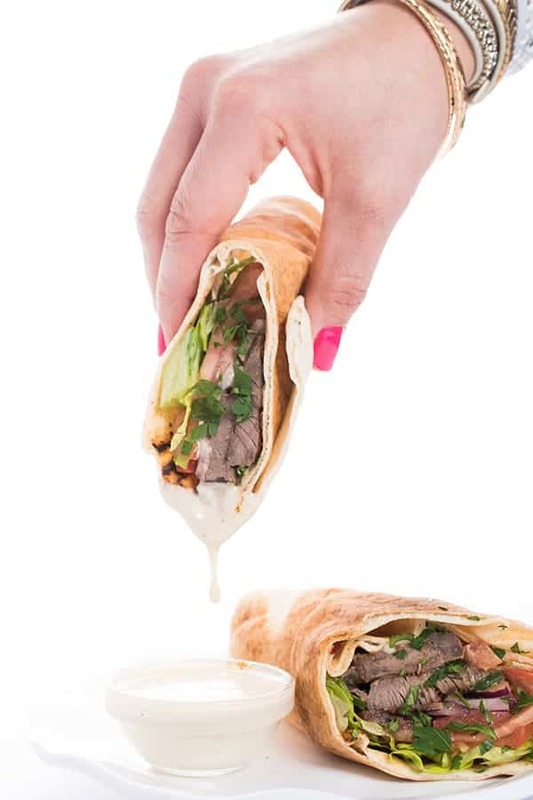 hey girl- these wraps look oh so yummy! I hope you like them Shawnna! BTW…it was delish! I added chopped water chestnuts for a little crunch and spinach for a little green!! I also made your black bean burgers for our Lenten meatless Friday din din! It was definitely a Lemon Bowl week!!! I’m so glad you like these Sue!!!! Szechuan is arguably my favourite Chinese flavour – consider this recipe bookmarked! What about the second teaspoon of sesame oil? When do you add that? I made this tonight and just added it at the end! !